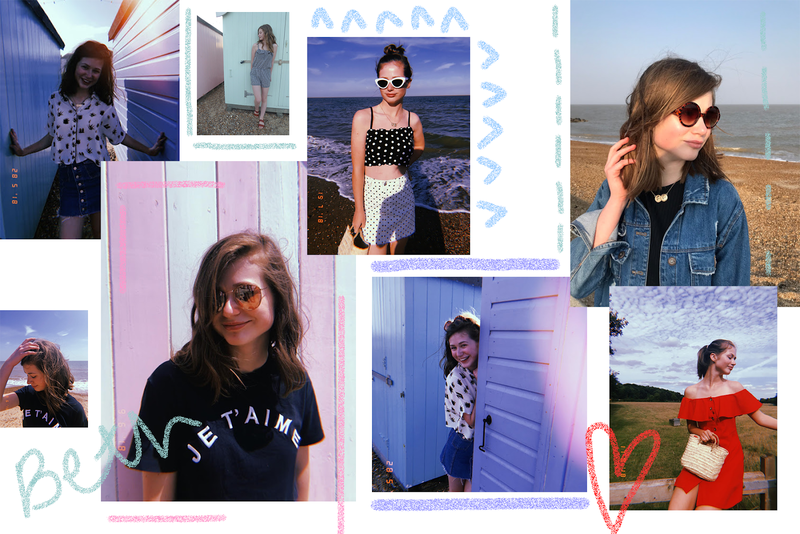 Bethan, better known as Bepbeee is a teenage Fashion and Lifestyle blogger. She documents her life and outfit of the day's on her website and Instagram feed, as well as talking about her own experience in the blogosphere. Her personal style is a little different from the crowd, but without a doubt gorgeous! And she also happens to be one of my favourite blogging gal's, so I'm only the tiniest bias. Seriously though, she's fab. We chatted all about her personal style and how she doesn't just follow trends, navigating our way through the online world and why being yourself when doing so is so important, and of course the blogosphere. Flo: Let’s start by talking about your fashion sense. You update your blog with outfit of the day’s quite frequently, and what I love about your style is that it’s quite mature, you always seem to be able to style an outfit so that you don’t look like every other teenage girl. Do you have any tips on styling outfits? Bethan: Thank you! I have always loved clothes but have never gone along with trends I don’t like. I love that my style is quite different from ‘the average teenage girl’ as that makes me who I am. I’m not one for buying an item of clothing purely on the fact that loads of girls my age are wearing that kind of thing, I have to love it because I want to wear it. I would say my tip for styling outfits is exactly that, if you love it, think it looks good and you are comfortable in it, that’s all that matters. There is so much judgement and a pressure to all look a certain way that now is the time to stop caring about what anyone else thinks and style outfits how you want to style them. F: I’m exactly the same, I’m not a huge fan of the ‘teenage’ trends and will often opt for something a little different. I feel like a huge ‘teenage’ trend at the moment is those Adidas leggings and i’m just not into that. So, you’ve been blogging for three years now and you’ve said before that blogging has helped you to grow as a person. Do you think you could say the same for your style? B: Definitely. My style is completely different now to how it was three years ago and that is partly down to being surrounded by huge fashion icons in the social media world that have influenced me to step out of my comfort zone and dress with confidence. Back when I started, my style was very basic and I didn’t ever experiment. I had set outfits, knew what looked good with what and bought from a handful of different shops. I feel like that needed to happen for my style to be what it’s like now and I’m looking forward to seeing how it changes in the next five or so years time. I’ve now found out about so many different shops, mostly online, that I feel lucky enough to have discovered and bought from in the past year. My style has changed and definitely matured so now I do wear different outfits, I try out lots of new things and ways of wearing items too. F: Speaking of the influence social media has on you, one of your blog posts that I particularly love is ‘Living in the world of social media as a teen’. Although your space on the internet is very clearly a very happy and positive one, have you ever had any nasty experiences online? B: I feel extremely lucky to have mostly had a positive journey so far online but obviously no journey is completely plain sailing. The only bad experience that I have had online wasn’t actually on social media, it was on Depop. I ‘thought’ I had bought a iphone 6 with some of my birthday money from what seemed a nice lady, she asked if we could pay through Paypal and if we had thought about it more then we would have said no but we didn’t. However, the phone has never arrived and I don’t think her Depop can be found anymore. She had also blocked me. We tried as best as we could to get the money back but as the transaction was with Paypal, it has nothing to do with Depop neither Paypal as it was done with ‘Friends and Family’. Looking back now, it was a really stupid idea and if it looks too good to be true, then it normally or most definitely is. F: Oh my god, that sounds horrible! Do you have any advice for other teenage girls who have dealt with or a dealing with similar situations? B: Even though, I’ve never dealt with any kind of nastiness on social media or cyber bullying, and I’m really grateful for that, one bit of advice I would give is that it’s okay to either unfollow, block or report. If anything like that happened to me I would be pressing all of those buttons! Obviously if you are going through something as serious as cyber bullying, please talk to someone you trust and that way, you feel better for speaking about it but also other people can get involved to sort it out. Social media should be a safe place for everyone to be who they want to be, and if a certain individual is ruining it for that someone, they shouldn’t be on it. No negatives vibes here. F: I couldn’t agree more. I feel like online, especially in the blogging community, we just don’t unfollow. Whatever reason we may want to unfollow, if it’s Cyber bullying like you said or even if you simply don’t like someone’s feed anymore and feel it’s not having the best influence on you, I think there’s always some sort of fear about pressing the button and cutting that person out. But, in all honesty if you don’t want to look at it then don’t. I do it all the time and I think of it as slowly curating my feed into something I actually want to see. And finally, I know that for me, in some cases my blog has had quite a large impact on my personal life. Sometimes I’ve had to turn down invites because I’ve had work to do, but then I’ve also experienced a friendship break up that was partly down to my blog. Would you say that your blog has much of an impact on your life offline? B: I think around early 2017 when more people started to find out about my blog, I would get either of two reactions; one being ‘Oh cool, can I see it?’ and the other one would be making fun of it. I’ve experienced a lot of fake friends just because they knew I got ‘free stuff’ or people wanting to be friends with me to ‘use’ me. It affected me a lot at the start because I knew I was doing something I loved but some people for some reason weren’t okay with that. I think quite a lot of people deal with similar things to this if they blog or do Youtube and what I’ve realised over time is, to do you and don’t worry about what other people think. This is so important because we should be proud of what we create without other people ruining it for us. F: I love that attitude you have of just being proud and not letting anyone tear you down for creating and having an online presence. I honestly wish I was like that four years ago when I started out. I actually only really talk about my blog with my close friends who didn’t know about it for a long time so i’ve never had any fake-ness from them because they’ve always known me before any of it happened. However, I do find that I’ll usually get a positive reaction, especially from people my age because they’re more familiar with the industry, but lots of my friends said “I want free stuff I’m going to start a blog” when I told them. Which definitely annoyed me because as we both know, blogging is not just getting some free beauty products sent to your house. 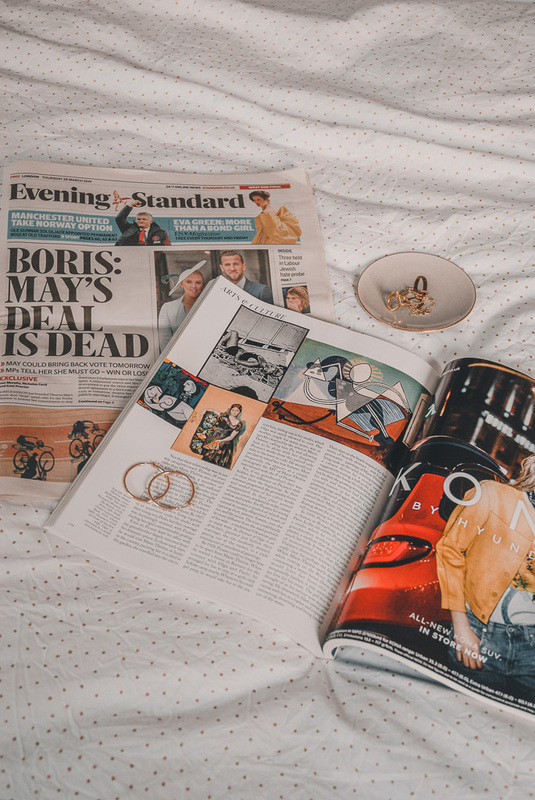 There is so much work involved in brand partnerships, and of course so much work involved in getting to the point where brands are approaching you and sending you products. But then I don’t blame them for thinking like this because there is a certain image put across on social media and being a blogger does look like a lot of fun to some people because so many people’s feed is purely a highlight reel which gives such a sugar-coated version of events. Nice post, love your picks!